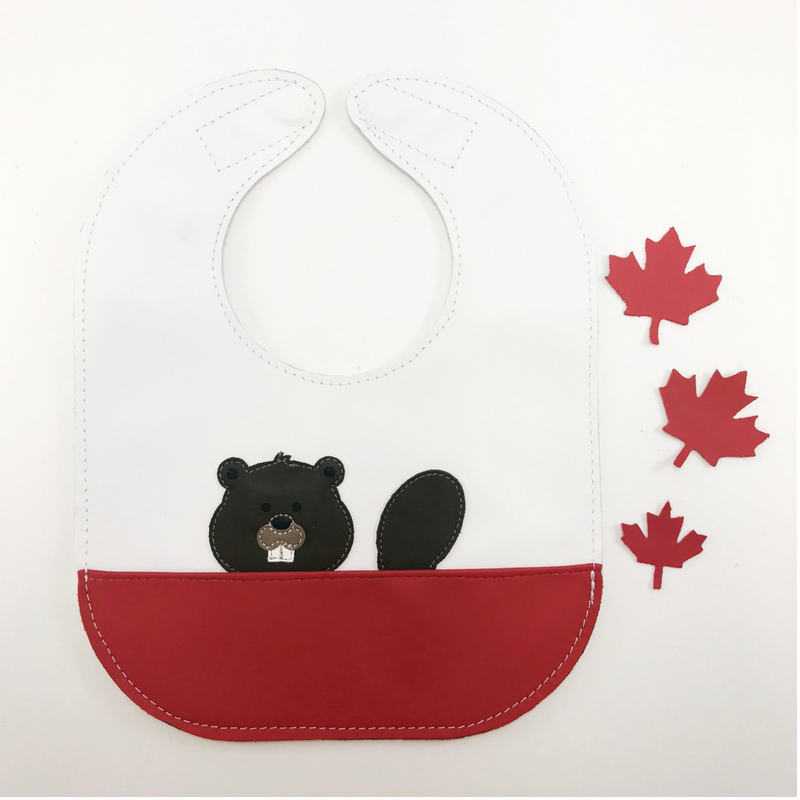 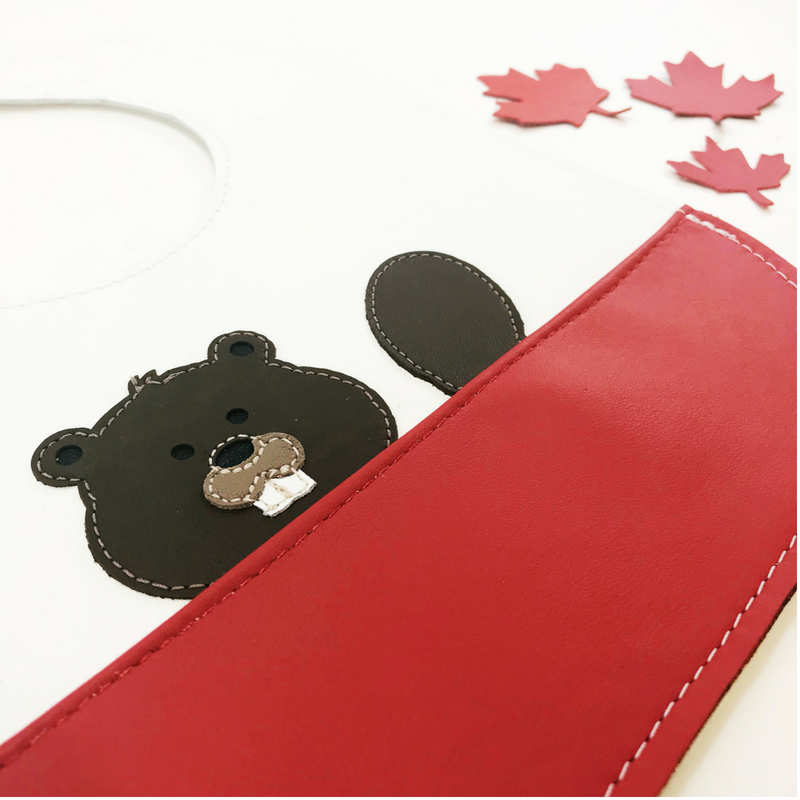 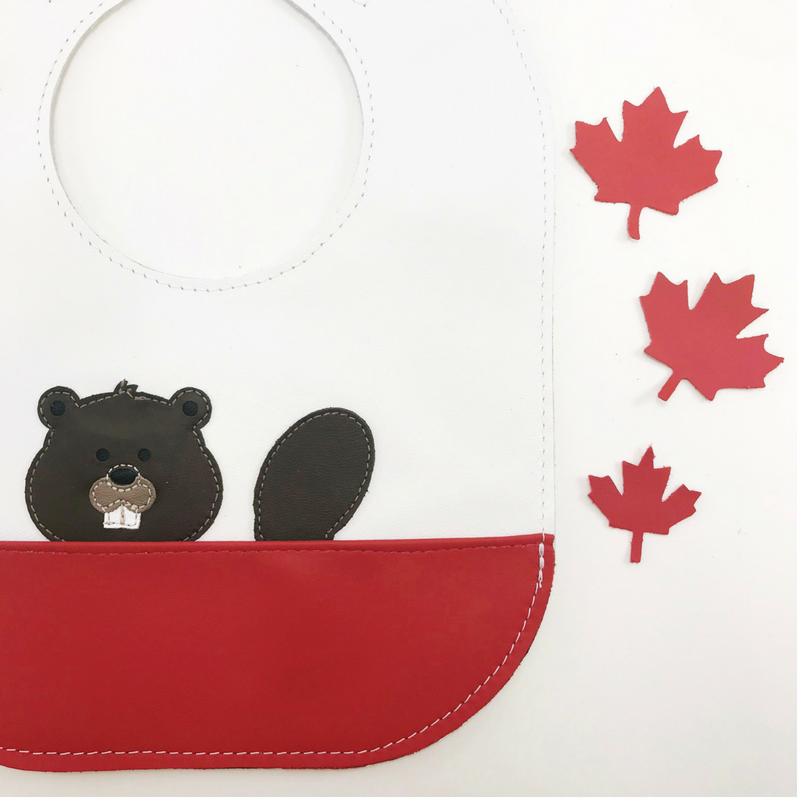 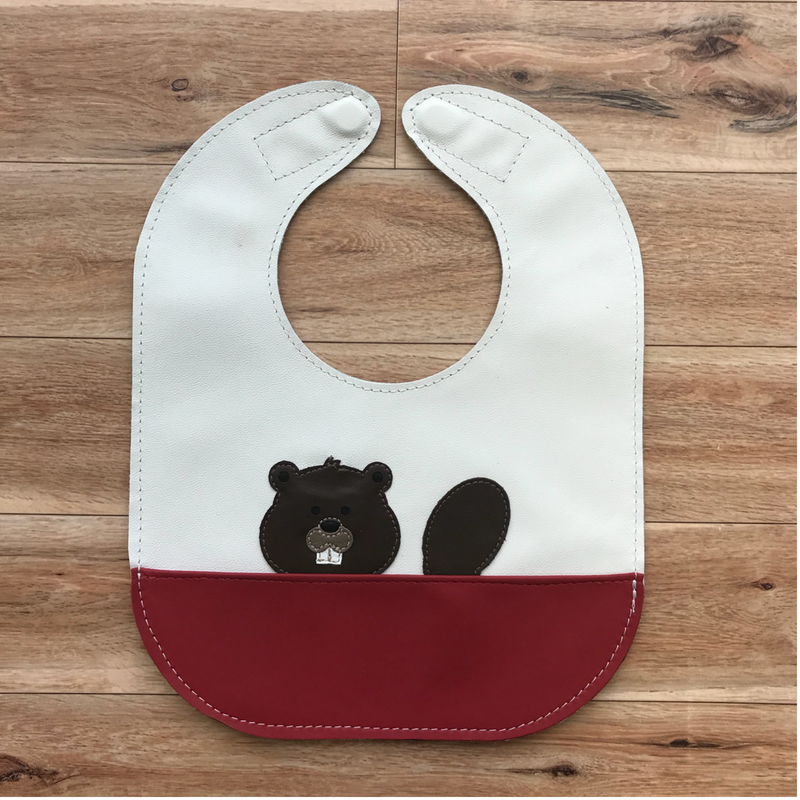 When we designed our new fox, beaver and raccoon, we decided to do something different and add their tails to the bib, peeking out of the pocket and the results are adorable! 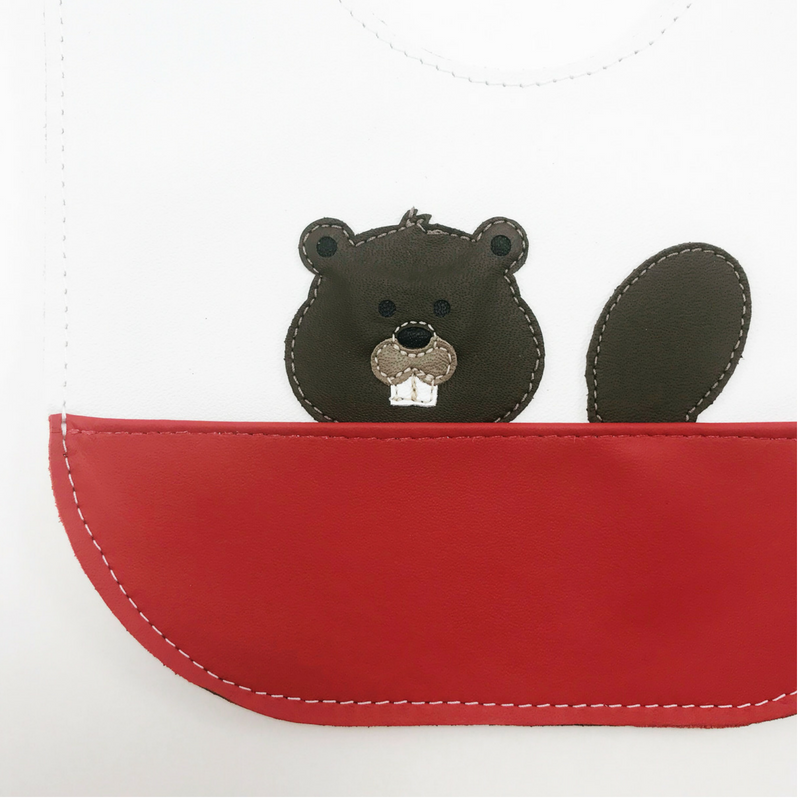 This beaver is part of our Canadiana collection, making it a perfect gift to send to your friends around the world from Canada. 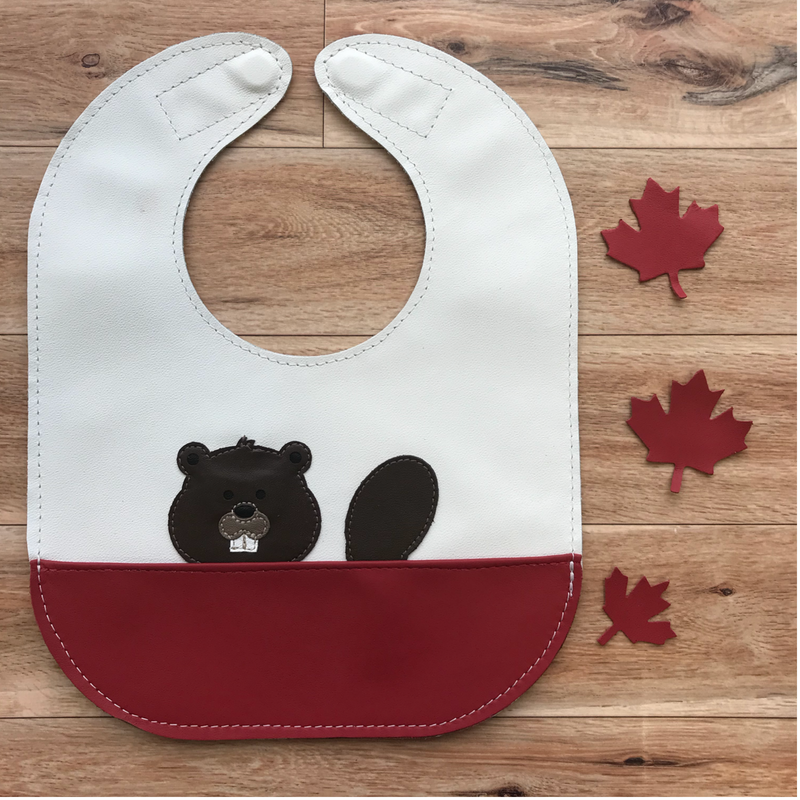 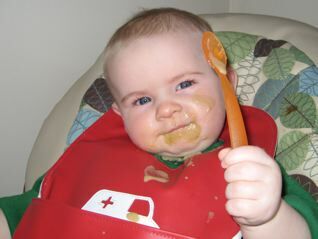 It was recently re-designed in a new red and white Canadian colour scheme.